Saturday’s clash between Kaizer Chiefs and Mamelodi Sundowns was, overall, a fine advertisement for the South African game, a pulsating encounter played out in front of a near-capacity crowd, with plenty to impress, among others, the Fifa delegates that were in attendance. The only minor quibble I would have was with the traffic situation outside, which was, to put it mildly, utter chaos. Surely the Johannesburg Metro Police Department, in conjunction with the home side Kaizer Chiefs, and even the Premier Soccer League, could have found a better way to manage the volume of vehicles trying to get to the ground. Once I did get inside, however, the atmosphere was electric, and I thought Chiefs and Sundowns provided a game to match, despite the lack of goals. This is possibly the best I have seen Amakhosi play under Steve Komphela, electrifying on the counter attack at times, with only a finish missing from their game. Dumisani Zuma really looks like one to watch, while Philani Zulu also impressed me with his surges down the left, and Siphiwe Tshabalala continues to excel to the extent that another Bafana Bafana call-up cannot be out of the question in 2018. As for Sundowns, they played it a bit cautious, sitting back at times, with three central midfielders in place to protect the Masandawana defence, and Khama Billiat, Sibusiso Vilakazi and Percy Tau ploughing a lonely furrow in attack. That said, they had arguably the best chances to win the game, with a Tau header in the first half, and with efforts from Tau and substitute Jeremy Brockie after the break that struck the woodwork. Sundowns coach Pitso Mosimane certainly knows how to win a league title and he seemed happy enough after the game that the five- point lead over Chiefs had been maintained. Sundowns next travel to Cape Town City, in what is a match between the league’s top two, Benni McCarthy’s side trailing Sundowns by four points, but unable to fully capitalise on Saturday’s draw with their own deadlock at Bloemfontein Celtic on Sunday afternoon. 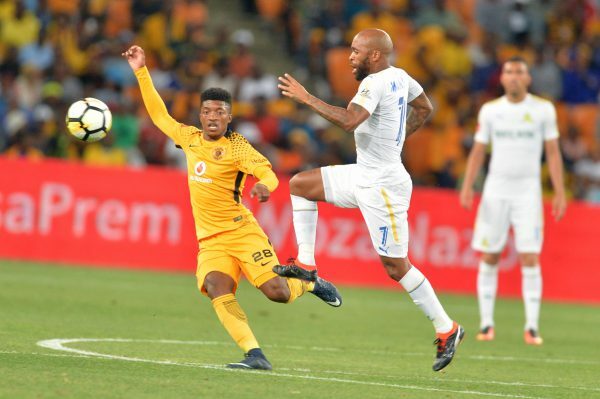 City did win at Sundowns towards the end of last year, and if they can manage another win on home soil – or home-away-from-home soil if you take into account the fact that the match has been moved to Athlone Stadium – then the title race really will have been blown wide open. Masandawana also have the Caf Champions League to cope with from next month and it remains to be seen if this affects their title challenge as the months go by. Cape Town City also have to contend with the Caf Confederation Cup so perhaps it is Kaizer Chiefs and Orlando Pirates, who are looking in fine form and have no continental football to worry about, who will pick up the pace and move ahead of City and Sundowns. Either way, it should be an intriguing race for the Absa Premiership crown, and it is good to see Chiefs and Pirates picking up the baton again and giving their fans something to cheer about this year. A good Chiefs and Pirates team can only be good for the state of the South African game, and both have done well to strengthen their squads in the January transfer window.